Prominent & Leading Wholesale Trader from Ahmedabad, we offer anti-corrosion dry waxy coating, anti-corrosion thixotropic coating, bright galvanizing coating, heavy duty anti-corrosion coating, rust convertor primer coating and viscous liquid for corrosion protection. 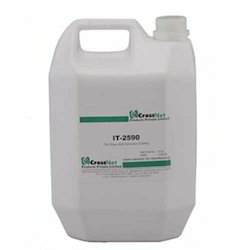 IT-2590 is a waxy coating designed for protection of the finely machined metal surfaces such as tools, dies, molds, including plastic injection molds, spare parts, machines etc. against corrosion during storage and transport. This coating also protects under tropical climate and marine conditions. Product features include its ease of application removal. The film deposited is thin and dry which is also lubricating. It is ideal for components where markings must remain visible or those where coated parts are to be welded or assembled directly without any preparation. The coating can also be applied over painted surfaces also. The product does not harm rubber and plastics. IT-2591 is a wet, thin-film thixotropic coating designed for protection of the finely machined metal surfaces such as tools, dies, molds, including plastic injection molds, spare parts, machines etc. against corrosion during storage and transport. This coating also protects under tropical climate and marine conditions. Product features include its ease of application removal. 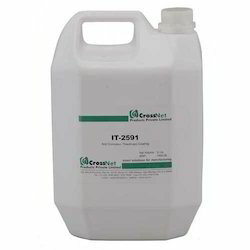 The film deposited is thin coating which is removable and also lubricating. It is ideal for components where markings must remain visible or those where coated parts are to be welded or assembled directly without any preparation. 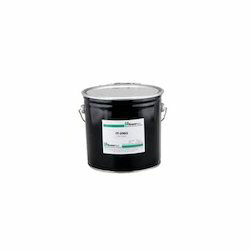 Traditionally used for preservation of the plastic injection molds, some of its other applications include its use for protection of engineering components exposed to high corrosive loading, e.g. outdoor weathering under roofs of semi-finished products, finished products etc. up to 2 years. It is an excellent choice for use on shipping protection of packed and unpacked machines and machine parts, apparatuses and equipment goods under extreme climatic conditions. After application, it forms a transparent, oily protective film that will not run off and also adheres well to vertical surfaces. IT-2505 is zinc-rich coating that performs like a hot dip galvanized coating to prevent rust and corrosion on all types of metals for up to two years. It works electro-chemically on all ferrous metals, providing rust and corrosion protection indoors and outdoors. This can also be used as a primer over rusted metal to repair hot dip galvanizing. Specially formulated, it provides a tough, flexible coating that will not crack or peel even in extreme heat or cold. The product formulated with 95% purity zinc works like a hot-dip on ferrous metals indoors and outdoors. It withstands water temperature up to 100°C and continuous dry heat up to 400°C. Commonly used as a flash rust preventive on welded areas, the coating which is flexible coating will not yellow, chalk, crack or peel offers a long term protection. Typical applications include it use for marine applications, on cars, buses, trailers, trucks, air conditioning systems and fans, fencing, piping, sumps, water tanks, gutters, metal roofs and buildings etc. It is used for structural steel bridges, buildings, off-shore rigs, steel windows, sheet metal and welding joints. IT-2593 a high performance anti-corrosion coating designed for protection of the components stored outdoors provides an excellent protection to metal substrates. It leaves wax-like film which is flexible and non-migratory. The coating can be removed with any mineral spirits or alkaline cleaners such as Ultrachem Degreaser. A film thickness of at least 50-70 microns is recommended for protection of parts in uncovered outdoor storage. 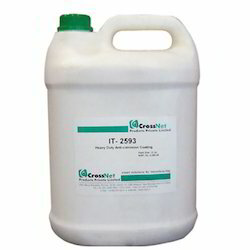 IT-2593 can be applied by dipping brushing or spraying. The product features a thin flexible coating with excellent salt spray ratings UV resistance. The coating is designed for outdoor multi-metal protection with cured film heat stable up to 200 ºC. The product is used for pipe coating in outdoor storage, for preservation of the machined parts, underbody coating, for protection of the steel plates all kinds of machined parts. 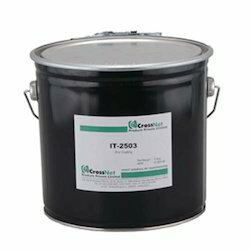 IT-2508 rust converter primer reverses the process of rusting. Its reactive VX-polymer converts rust into stable metal complex and attains a passive state without losing the strength of the metal. In essence it’s an encapsulation process. It cures at low temperature and very good wetting properties. The product is highly recommended intermediate coat in protective coating system. The coating can be top coated easily with a broad variety of high performance finish coats. It is simple to apply, (brush, dip, roller or spray) that requires minimal surface preparation. Just remove only the loose rust, since the adherent rust automatically gets converted into a polymer complex compound when the protective film is formed on the metal surface in a few minutes. 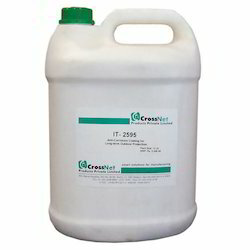 IT-2508 is a “VX” polymer based system that provides strong bond and flexible coat that does not crack during transportation. It can withstand mild acids and alkalis, hence no carbonizing due to the presence of sulphate ions. IT-2506, a low viscosity fluid designed for corrosion protection is designed for corrosion protection of measuring and cutting tools. It is an excellent dewatering fluid and used for cleaning and protection of wet metal elements or for easy removal of fretting corrosion and corrosion residues. The product provides a combination of cleaning and thin film lubrication and absorbs remains of water, leaves behind a protective film on the surface which is compatible with common sealing materials. IT-2503 is zinc-rich coating that performs like a hot dip galvanized coating to prevent rust and corrosion on all types of metals for up to two years. It works electro-chemically on all ferrous metals, providing rust and corrosion protection indoors and outdoors. This can also be used as a primer over rusted metal to repair hot dip galvanizing. Specially formulated, it provides a tough, flexible coating that will not crack or peel even in extreme heat or cold. The product formulated with 95% purity zinc works like a hot-dip on ferrous metals indoors and outdoors. It withstands water temperature up to 100°C and continuous dry heat up to 400°C. Commonly used as a flash rust preventive on welded areas, the coating which is flexible coating will not yellow, chalk, crack or peel & offers a long term protection.